Get More Information on Our STaR Program Today! Are you a first responder, correctional officer, or work in the education sector and are currently looking to buy a home or refinance for yourself and your loved ones? Chances are good that you probably haven’t heard you can save money on your mortgage simply because you spend your days or nights working on behalf of the greater good. But, it’s true – there is a mortgage program that can help save you as much as $800 on lender fees associated with your mortgage if you’re a first responder, correctional officer, or work in the education sector. It’s called the STaR Loan Program, and it’s available from Options Financial. The STaR Loan Program is dedicated to saving our educators, educational support staff, correctional officers, and first responders money on their home loans. So who’s eligible? Police officers, correctional officers, firefighters, educators and educational support staff who are currently employed full-time are all eligible for the Options Financial STaR program. This program makes the process of obtaining a mortgage a little bit easier and provides additional savings to those who help all of us during the times when we truly need it the most. The STaR Loan Program is chock full of benefits. For starters, qualified borrowers can save as much as $800 on lender fees. These savings can also be combined with down payment assistance, which will allow for gift funds to be used for up to one hundred percent of the home’s already-reduced down payment. The program also allows for a reduced monthly mortgage payment by providing mortgage insurance, secured and paid for by the lender (*this is an optional, non-standard feature of the program). And the savings don’t end there. The program also comes with a one-time interest rate renegotiation option. So, if interest rates get better prior to your closing docs being drawn up, then a new, lower interest rate can be negotiated and secured. The STaR Loan Program for first responders, correctional officers, and educators is easy to qualify for. First responders also have relatively easy qualifying conditions. 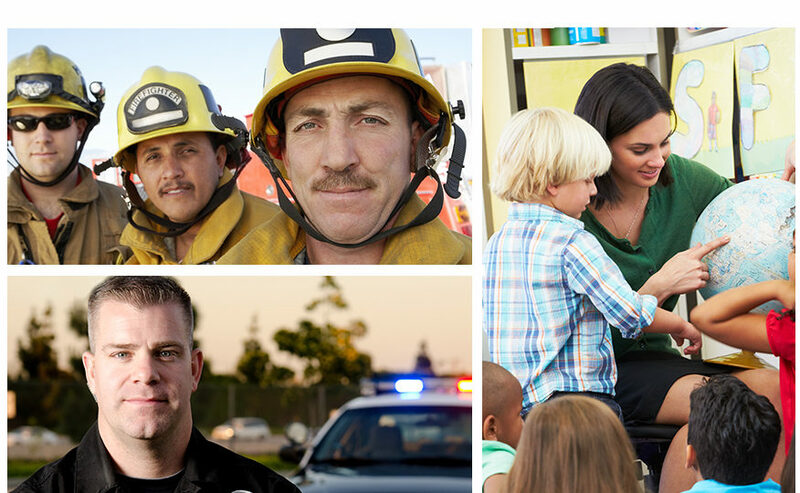 So, if you’re a first responder, educator/support staffer, or correctional officer and you currently meet the basic requirements listed above, you owe it to yourself to consider Options Financial’s STaR Loan Program. Between the easy qualifying, lender-provided mortgage insurance, and additional monthly savings, participating in the STaR Program is a great way to save money and to make the dream home you want for you and your loved ones a reality. * Star program represents reduced fees for VA, Conventional, and FHA loans. Program cannot be used in conjunction with down payment assistance programs such as CalHFA or GSFA. Lender paid mortgage insurance is okay when using a conventional first mortgage only.